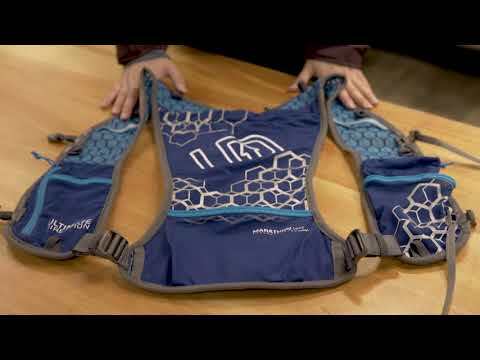 Accommodates a bottle and a hydration reservoir, but it's so light you'll forget it's there. The mesh harness won't bounce when running rollercoaster trails, and it stays airy and breathable on muggy days of asphalt training. Made of strong, lightweight 40-denier silnylon. Soft and breathable meshy harness and backpanel sections. Dual sternum straps and side straps ensure a fine-tuned fit. Rear pocket accommodates a hydration reservoir up to 2L. Fast access front pocket fits UD soft bottles up to 500ml. Zippered front pocket and meshy Velcro® pocket house smartphones and keys.